Now, with shoes it is like this- you either love them or are completely indifferent. There are those of you who kerb your shoe needs with other significantly important things, but when it comes to shoes for me, I can only say that I love them. Love, love, love. The more exciting for me, the better my day usually is- no matter how much they hurt my feet or make them feel numb, a good pair of heels or flat is sometimes all that a girl needs to be happy. 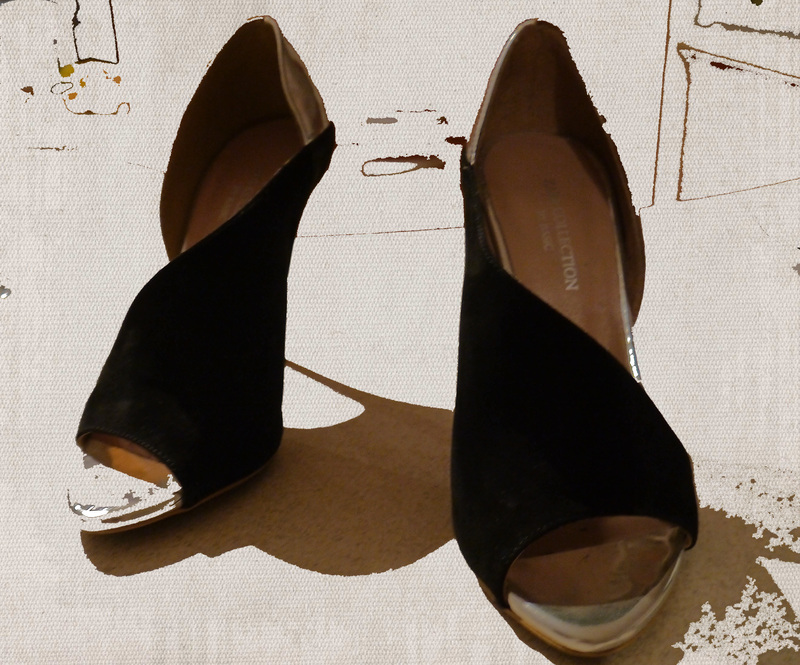 I had previously seen a pair of cubist/modern shoes in Zara and had decided to try them on. Of course, I loved them, and spent the next couple of weeks thinking about the crucial question- should, or should I not buy them. The biggest factor was their shape- the way that the creators had made them, their shape was rather awkward for the classic heel lover, with the front perfectly cut out to see just the bridge of the foot. In this shoe, you could not only see the bridge, but also the side of the foot. With my typically emotional character, the shoes landed on my shelf a few months later. What do people think? Good, or bad? I love their shape. They have actually proven to be quite perfect when it comes to wearing! Pretty impressive post. I just stumbled upon your site and wanted to say that I have really enjoyed reading your blog posts. Any way I’ll be coming back and I hope you post again soon.